In this month’s letter, ADEA President and CEO Dr. Rick Valachovic makes clear why you should plan ahead now to attend next year’s ADEA Annual Session & Exhibition. The one complaint we hear following every ADEA Annual Session & Exhibition is a happy problem to have: There are simply too many sessions people want to attend and no way they can physically attend all of them. While we haven’t found a magic potion that allows dental educators to be in two places at once, this year in Orlando we did introduce a media-rich environment that led attendees to experience more of the meeting than ever before. Meet ADEA TV, our latest communications venture, which debuted to rave reviews. Five monitors became hubs in the convention hall where people gathered throughout the day to view Annual Session highlights. The production team did a stellar job making the videos feel interactive. As one person I spoke with commented, it felt as though the people on screen were talking directly to you. But as the infomercials say, don’t take my word for it. Visit the website to see for yourself! We also upped our social media game this year with the help of Western University of Health Sciences College of Dental Medicine (WU CDM) Assistant Dean for Clinical Education, Hubert Chan, D.D.S. Hubert worked with the ADEA Division of Communications and Membership to organize a Social Media Squad comprised of members of the ADEA Council of Students, Residents and Fellows and WU CDM students. Together, they chronicled each day’s events under the hashtag #ADEA2018, posting 500 messages that reached ADEA’s 10,000 Twitter followers and thousands more via Twitter, Facebook, Instagram and Snapchat. The Annual Session mobile app featured something new as well: ADEA Quest. While not quite Pokémon Go, the game succeeded in sending players throughout the Exhibit Hall on a hunt that spurred conversations among attendees, exhibitors and ADEA staff. Players collected points as they went and could enter raffles to win prizes. Following many sessions, we also introduced ADEA TouchPoll™ surveys to get an instant read on how members viewed select events. Respondents were entered into a raffle, and one lucky third-year student, WU CDM’s Katie Oates, went home with the grand prize—complimentary registration and round-trip airfare to next year’s Annual Session in Chicago. Hope Hicks leaving the White House? Congress voting to repeal the Affordable Care Act for the 69th time? Anything that happens on the Hill between now and the midterm elections? All noise, but luckily for us, the information shared at this year’s Annual Session was most definitely news, and welcome news at that. ADEA members are taking seriously the need to prepare for the road ahead, and in session after session, they were eager to share the myriad individual ways they are gearing up for the challenges that lie around the corner. This year’s theme, Vision 2030, amplified those efforts by putting them into a larger context and challenging ADEA members to imagine how our community can continue to thrive in a rapidly changing environment. 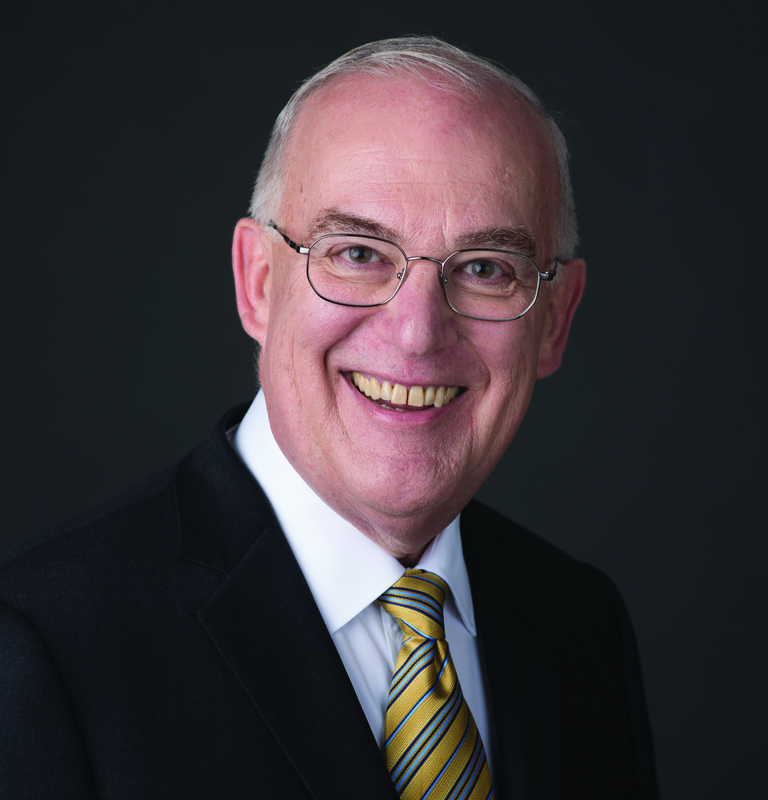 As Leon Assael, D.M.D., now Immediate Past Chair of the ADEA Board of Directors, is fond of pointing out, 2030 is a mere 12 years away, so we have no time to lose in getting ready for the sweeping changes coming to dental education. Three Chair of the Board symposia explored the specific challenges dental education will confront in the years ahead, while the Opening Plenary speaker, futurist Mike Walsh, offered a big-picture perspective. He issued a wake-up call for all of us to reinvent, reimagine and redesign the oral health ecosystem, urging us to “think big,” “ask dangerous questions” and consider what roles automation, artificial intelligence and algorithms can play in our teams. The Closing Plenary speaker, Natalie Kogan, also addressed the need for a cultural shift, but reassured us that “It is okay not to feel okay about change.” Her upbeat presentation on striving for emotional health and resilience in the workplace seemed to strike a chord with an audience all too cognizant of the stresses associated with preparing for and practicing our professions. Our community cares deeply about student well-being, as evidenced by the overflow crowd at a separate session on student happiness. A palpable feeling of calm and camaraderie permeated this year’s gathering. The Gaylord Palms Resort & Convention Center provided a tropical oasis where attendees could feel close to nature. Under a giant glass dome, hotel guests watched alligators and turtles bask in sunlit pools. The adjacent convention center was easy to navigate, with lots of nooks that encouraged people to sit and converse, and more than once, I overheard people talking about collaborating on proposals for next year’s Annual Session. The programming also put people at ease. For the second year in a row, we hosted a Find Your Tribe event, during which first-time attendees received guidance on how to get the most out of the meeting from a volunteer Army of Connectors. Roughly 140 newcomers took part, double last year’s attendance. Over in the Exhibit Hall, a steady stream of members kept staff at the professional development booth busy explaining which of ADEA’s various educational offerings might be right for them. Meanwhile, the introduction of electronic media was seamless, with people of all generations gathering around screens and interacting comfortably as though they were digital natives. If this year’s gathering went off without a hitch, it was no accident. Keith Mays, D.D.S., M.S., Ph.D., Associate Dean for Academic Affairs at University of Minnesota School of Dentistry, and the rest of the Annual Session Planning Committee did a phenomenal job pulling together this year’s programming, and ADEA staff members worked diligently to address member feedback from past gatherings. Under Krisa Haggins’ leadership, the ADEA Meetings, Conferences and Education Technology team stepped up to provide an exceptional experience. Members told me they felt listened to and heard. Because we were looking to the future, it seems only right that students, residents and fellows had a strong presence this year. These young people who come through our doors are the most important part of what we do and why we do it. On Monday, we hosted the inaugural ADEA Summit for National Student Leaders, which brought representatives of seven associations supporting dental students together to form a strategic alliance in pursuit of common goals. The ADEA Student Diversity Leadership Program drew another 53 students who left with individual leadership plans and a new vision for their program’s future, one focused around reducing health disparities and promoting student well-being. The allied dental community, including dental therapists and a record number of students, was also well-represented this year, and the entire allied community was moved to see Dr. Colleen Brickle, RDH, RF, Ed.D., Dean of Health Sciences at ‎Normandale Community College and one of Minnesota’s dental therapy pioneers, receive an ADEA Presidential Citation award. The remarkably moving acceptance speeches given at this year’s William J. Gies Awards for Vision, Innovation and Achievement. The meeting of the ADEA Women Liaison Officers’ Group—now 45 strong including Canadian members—and their plans to work toward becoming an ADEA Special Interest Group. The presence of our colleagues from Europe and beyond, with whom we made plans for two future international conclaves. Three outstanding sessions presented by our Advocacy and Government Relations staff examining Medicare funding for Graduate Medical Education, health care reform and select cases before the U.S. Supreme Court. Timely presentations on licensure, prescription drug abuse and augmented reality. And, of course, the 2018 ADEA GoDental Recruitment Event, which brought people from all over the country to meet face-to-face with admissions officers. One look at the rapt expressions on the faces of prospective dental students during a staged mock interview and the critique session that followed, and you were both proud of our profession and reinvigorated. For me personally, it was a special pleasure to reconnect with a classmate of mine from my time at Harvard University, Alexia Antczak-Bouckoms, D.M.D., Sc.D., M.P.H., who spoke during the “In the Mix” Plenary. Since a 1996 spinal cord injury changed the course of her life, this dental educator has focused on raising her children and raising millions of dollars for spinal cord research. “A person is a person,” she said, sharing her vision of inclusiveness. “It doesn’t matter what they can or can’t do. You just have to recognize the spirit of them and include them in any way that you can.” I was especially pleased to see that attending Annual Session has sparked her interest in renewing her engagement with dental education. That’s a great reminder to keep our ears—and our minds—wide open.